BAD NEWS FOR SUBMARINESThis array of American sea power includes U. S. Cruiser Melville, and part of a squadron of destroyers. Eighty-five American destroyers and three Russian destroyers, manned by American crews, were on duty in European waters. 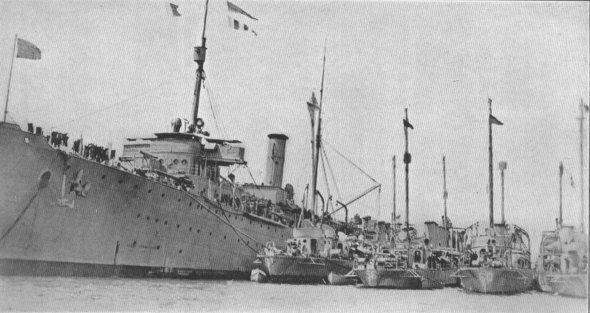 THE BEGINNING OF THE ENDThe first convoy to arrive in France. Sailing in a dense fog on June 14, 1917, the ships docked at St. Nazaire on June 26. 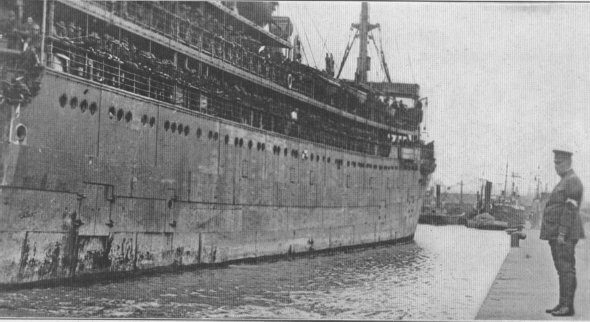 German submarines attacked the convoy at 10:15 P.M. on June 22 but not a ship nor a man was injured.